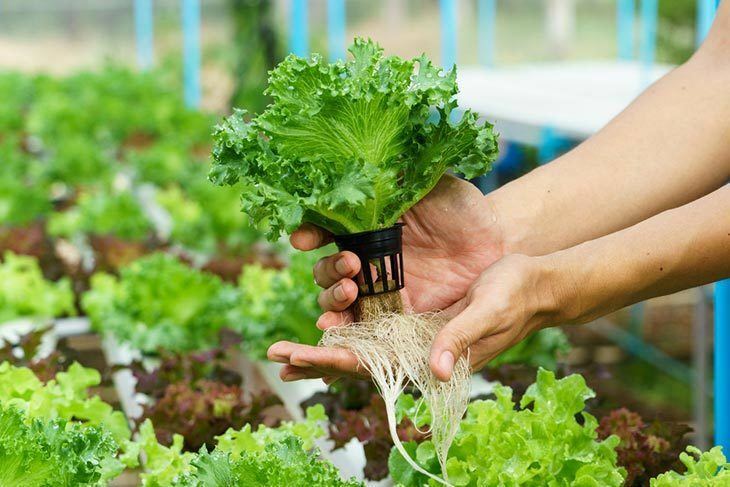 Are you familiar with what hydroponics is? If yes, I assume you are as well familiar with the best hydroponic system, am I right? Again, hydroponics is referred as the method of growing plants having not to use the soil. And the hydroponic system would be the one to deliver the nutrients to the plant's roots through a water-based solution. Read throughout this article, and I’ll tell you more about hydroponics and its system. Simply said, hydroponics deals with water in growing plants. And the water that is used in such kind of system is considered as a nutrient-rich solution, and it doesn’t use any soil at all. Well, you should know the fact soil isn’t the only option for the roots of the plant to grow. Instead, there are other ways you can consider too! If you will opt for the best hydroponic system, why not use an inert media such as peat moss, perlite, rockwool, clay pellets or even vermiculite for the root system. Oxygen is crucial to growing plants and for the nutrients too. A hydroponic system is all about dealing with a controlled environment, so you could adjust the setup according to the kind of plant you want to grow. With this, the nutrients would be in direct contact with the roots leading the plants to be well-nourished. Considered to be the simplest form, this one is a passive system, but it has no moving part. The nutrient solution would be drawn right into the growing media from the reservoir with a wick. And this best hydroponic system could make use of different growing media. This one is also one of the simplest systems wherein Styrofoam is utilized as the plant’s platform. The said platform will directly float on the nutrient solution. There is an air pump which also supplies air to the air stone. 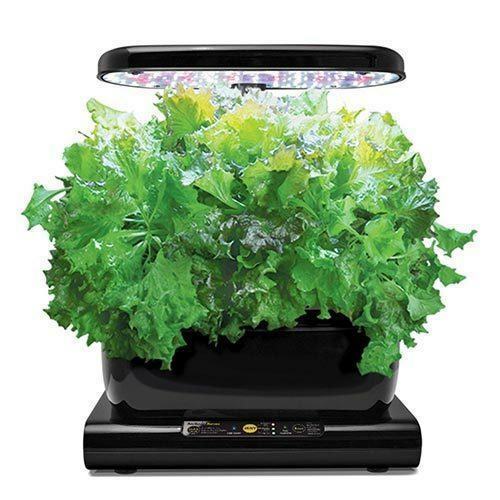 If you want to grow leaf lettuce, this system is the best choice. In fact, you can also use indoor hydroponic growing systems if you want to grow medicinal plants. Also referred as flood and drain system, this one works by momentarily flooding the grow tray with the nutrient-solution as well as removing it back to the reservoir. The best ebb and flow system is also applicable to numbers of growing media. These systems are used by numbers of developers all over the world due to simplicity when it comes to operation. There is a need to set the timer which will manage the submerged pump. And the nutrient solution gets dipped on the base of the plant by a tiny drip line once the timer activates the hydroponic pump. This technique will set a steady flow of the nutrients, so you aren’t required to set the timer for the submersible pump. Air is the only growing media used in this system helping you save both your time and money. One of the most advanced types of the best hydroponic system is this aeroponic system. Air is also the dominant growing media, and there is as well a timer which monitors the nutrient pump. Read more: 5 best grow lights 2019 - what you need to know about them? Lack of space is indeed one of the things that hinder many city folks to grow their food for business or personal purposes. Well, with the best hydroponic system, you might not need any extra lot or even a patio as any room in the house will do. Of course, it is our goal to increase the growth rate of the plants. And this could always be possible through the help of the best hydroponic system. Why? It could mature up the plants a lot faster, and it could generate a higher yield too. And you could save both your time and effort with this system. Plants grow fast and big, so efficient production is indeed rest assured. Best hydroponic system for vegetables could wipe out soil-borne fungi, insects, viruses and other diseases. You don’t need to experience the plague of locusts that descend upon you because you could do indoor gardening. There is no need of using the best pesticides as well. Consider the type of hydroponic system that you want. I have discussed the types earlier. Choose the one that best suits your needs. Growing sites matter too. You should consider the number of buckets or hydroponic pot systems to determine the number of plants to grow as well. Plan ahead to avoid less efficient setup. You should also consider the size of the buckets as this will provide you an idea whether how big the plants could get as you put them into the hydro grow system. Look for a system that is expandable. The expandable hydroponic system kits are indeed convenient. And also, the weight is crucial as it could affect where you will set it up and to make things comfortable on your part too. And for the hydroponic system reviews, read below. For a fully self-contained hydroponic system, this one sits on top. With this option, there is no need to worry about growing medium and light bulbs or even a nutrient solution. Isn’t it great, right? You can also consider placing this on the kitchen worktop since it is indeed a primary system. This one is designed for individuals who aim to pop in the grow pods. You might as well grow any smaller plant for its fruit and leaves. Besides, the LED lights are easily replaceable and very energy-efficient. With water reservoir that stands at 1.2 gallons, it also has a height-adjustable trellis. The control panel is superb too. This is considered a deep-water culture system. Of course, for more yields, you need to grow more plants. And this could be possible through this hydroponic system that claims to be on the second spot. It comes with 3.5-gallon buckets, large air stones, net pod lids and a powerful air pump having a six-way divider. It has a very easy to set up kit which comes with everything that you need. Along with that is the massive bag of clay pebbles in perfect amount as for filling the nets. Also, it has an air pump that is pretty big therefore able to run six buckets. However, this also means that this system is quite loud. 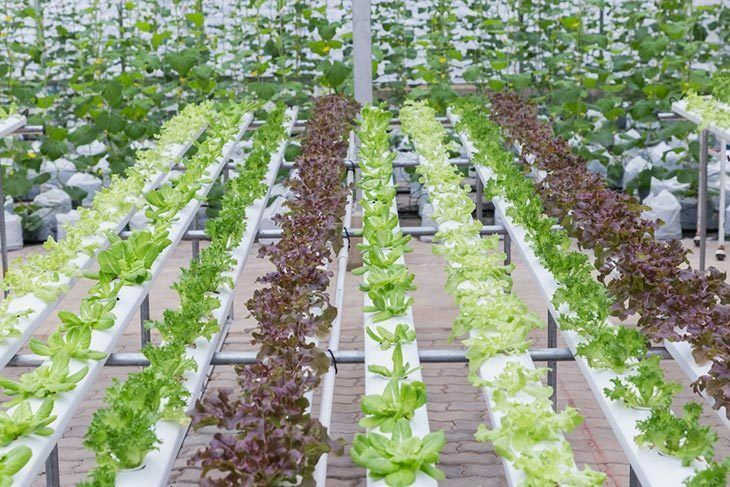 Now, do you imagine a hydroponic system with low price? Well, this option can turn your imagination into reality. 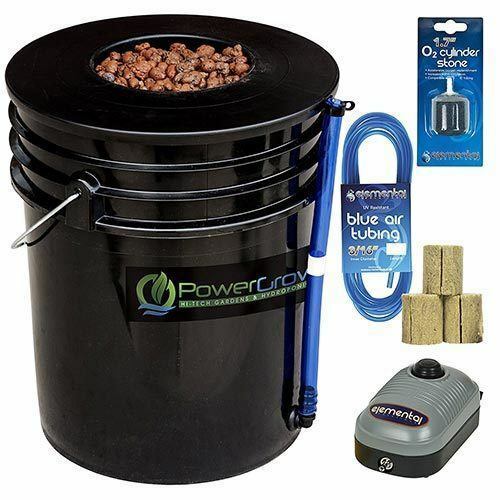 With a price that perfectly suits your tight budget, this one could bring almost everything that you need to grow healthy, delicious and strong plants and vegetables. 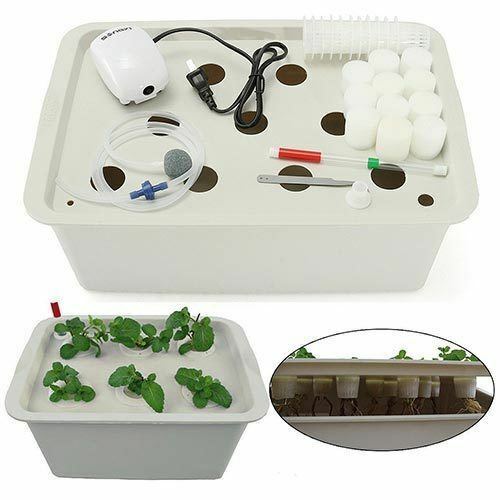 This is considered as the best beginner hydroponic system due to the fact that beginners could benefit a lot from this system since it is effortless to set up and utilize. This also allows the user to test the waters before you spend more money in a more complicated system. It also has six inches bucket that is durable and sturdy making it excellent for most plants even the bigger ones. Besides, this system comes with a pump, air stone and air tube producing the needed bubbles for the system to efficiently work. 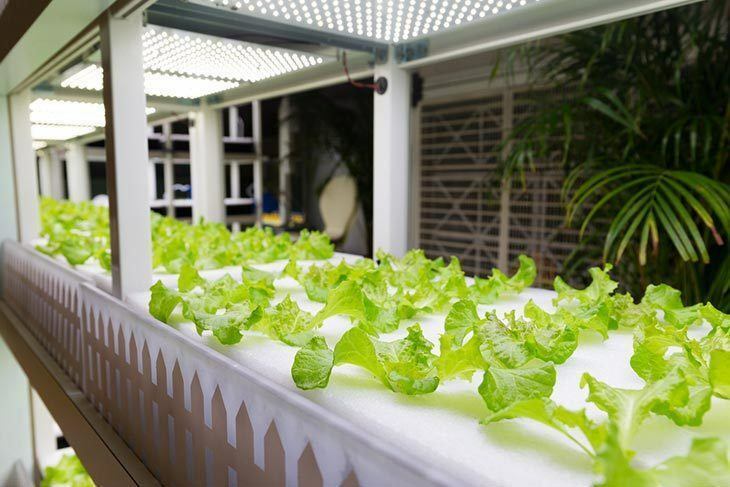 Though considered to be a bit expensive option, this hydroponic system could offer fresh vegetables and herbs all year round. This system will foster the growth of leafy greens, fresh herbs, flowers, and vegetables throughout the year. It is also considered as smartly-designed countertop garden which uses a rich of an assortment of the patented nutrients as well as water as for keeping the plants organic and healthy. And you will love this because there is no need for any pesticides or some other harmful chemicals at all. With this, you could quickly grow up to six plants into it that would benefit from the 20 watts LED lightning. Besides, the LEDs as well use different shades as for inducing specific productivity from the plants. 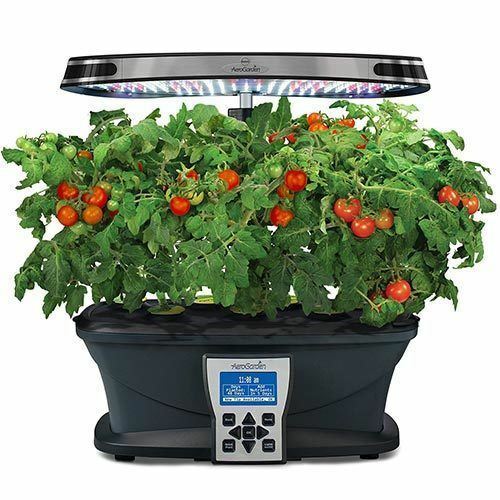 It also has a daylight white LEDs that promote fast growth while the blue one indicates bigger yields and it has red coaxes out more fruits and flowers. 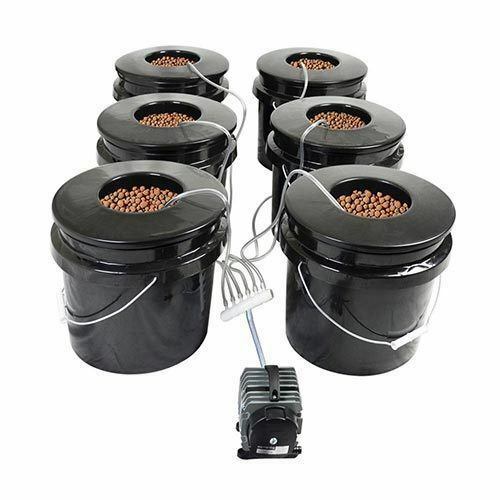 And for another great deal, this one is the best indoor hydroponic grow system. This product comes with basin cover as well as planting basket adopting the dark materials, therefore, getting rid of the light successfully which could enter the basin and might reduce the green algae growth in the nutrient solution. This product has a swallow cylinder on every side of its basic cover which could be used once the air bubble stone tracheal passage pushes the trachea into the basin. Also, this could also be injected into the deep cylindrical hole right from the marker as the level of the nutrient solution. Plus, it has a really classy look. It is perfect for different plan operations. And you could clone up to five cuttings due to its low-profile cloner. And for the best pick, I would choose AeroGarden Ultra (LED). Why? Well, this is considered as the favorite picks of the majority, particularly known because of its affordable price. There is also an assurance of excellent results, so it would be impossible that you wouldn’t love this best hydroponic system. Liked our buying guide and reviews? Hit like, comment and share now! 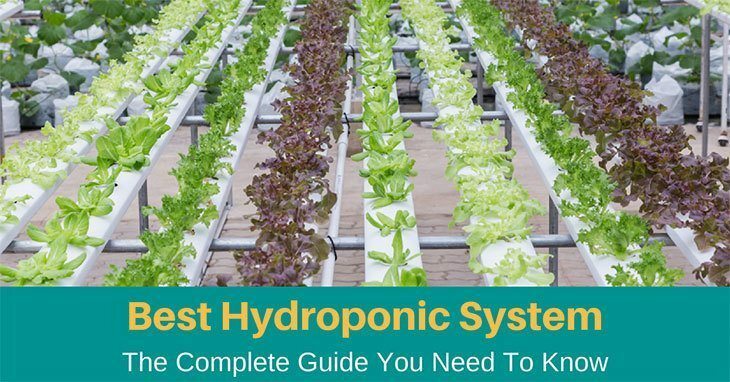 What are the 6 different types of hydroponic systems? 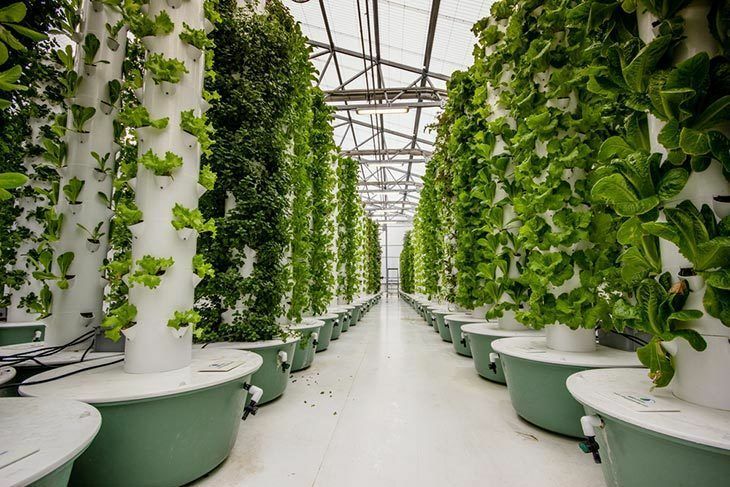 What are three types of hydroponic systems?